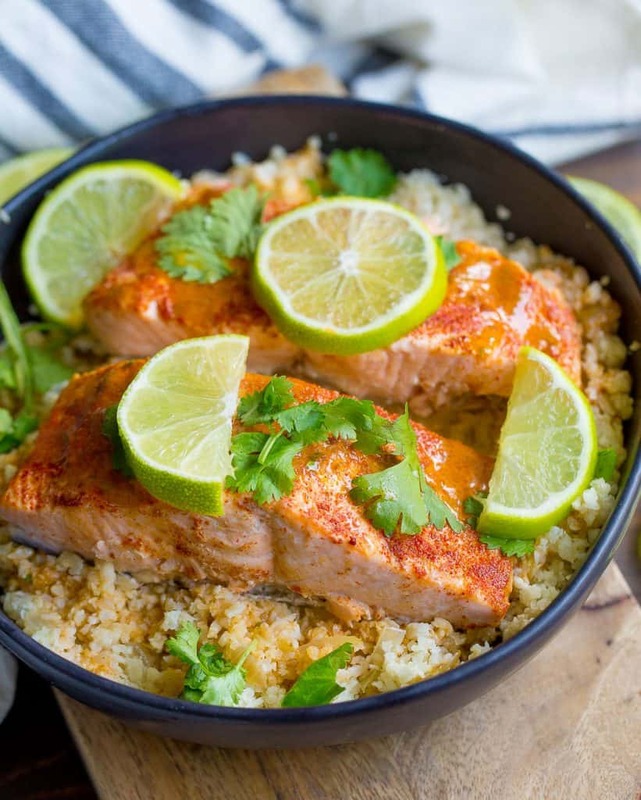 Instant Pot Chipotle Lime Salmon Bowls are served over a bed of flavored cauliflower rice for the ultimate nutritious meal! Dressed up with an amazing Chipotle Lime Vinaigrette, this recipe is sure to please. 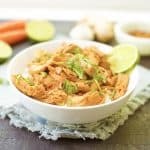 So easy to make in your Instant Pot, making this dish a spectacular option for a busy weeknight or for meal prep! 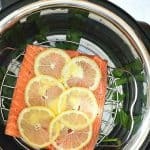 For the many ways to make salmon, let’s just discuss the reasons why the Instant Pot is superior. Easiest possible way to make salmon and completely hands off. No checking on the fish, adjusting heat, etc. Walk away and come back later! On the table in less than 30 minutes! Do you see my excitement here? 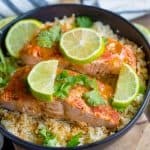 Judging by the way you all LOVE my Instant Pot Lemon Pepper Salmon, I knew I wanted to try a different flavor combo. Still giving you the texture you love, but now adding in some cauliflower rice for a complete meal. 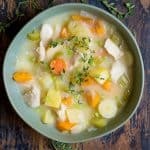 On a weeknight where I needed an easy, healthy, and Whole30 approved meal to make for my dear friend, THIS was the recipe I used. Chipotle lime is one of my favorite flavor combos (just check out my sheet pan chicken fajitas or grilled flank steak for more evidence). The sauce created is downright addicting! And it worked perfectly here with this meal. 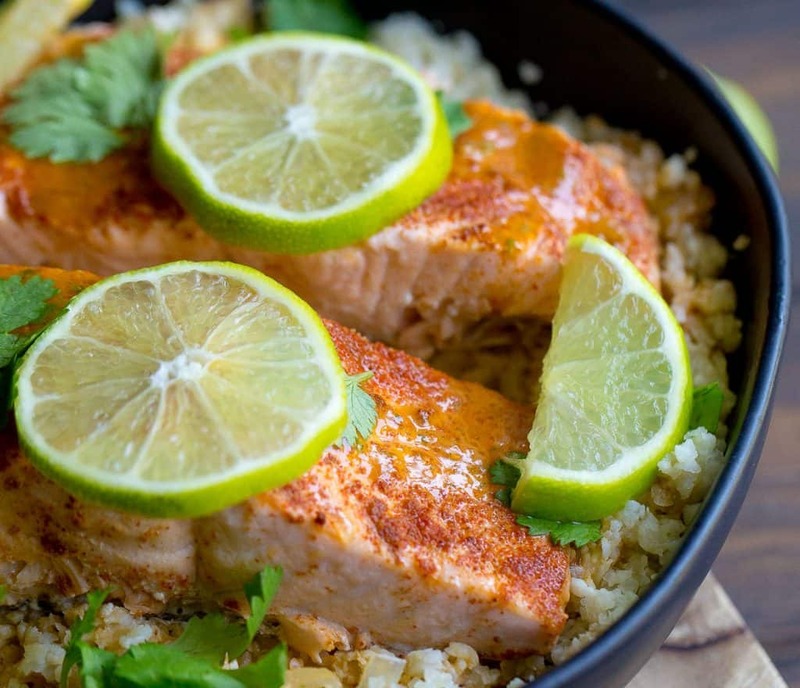 A simple rub for the salmon, and while the salmon is in the IP, blend up the chipotle lime sauce. 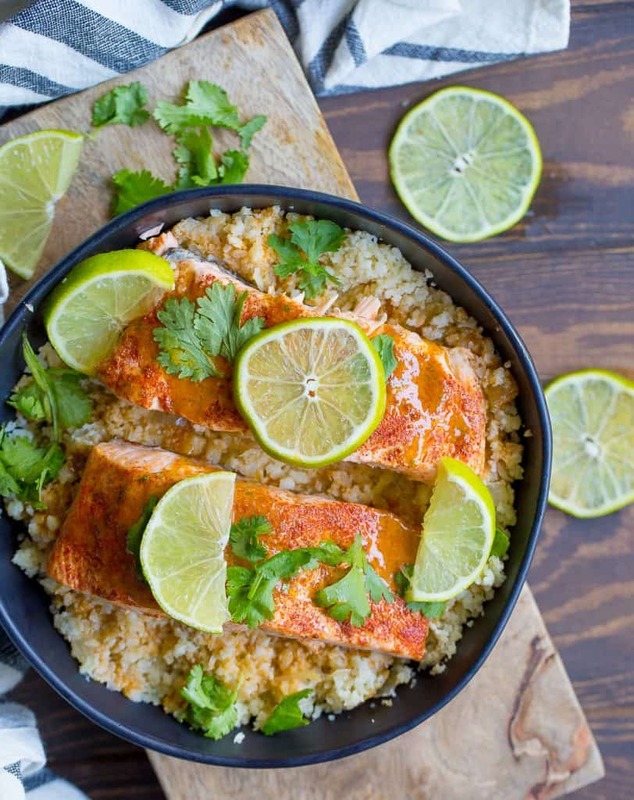 You’ll slather the salmon in this deliciousness, and then dump all over the cauliflower rice. Oh yeah, the cauliflower rice! This can be made in one of 2 ways: on the stovetop while the salmon is cooking, or in the IP after the salmon is cooked. Go ahead and add even more topping to this bowl when ready to devour: chopped fresh cilantro, avocado, even salsa. Get crazy! Place water in the bottom of your Instant Pot. Place the steamer rack on top of the water, handles extended up. In a small bowl, combine the salt, chipotle spice, and cumin. Season your salmon with the spice mixture, rubbing the filets. Place the salmon on your rack, skin side down. Secure the lid to your Instant Pot, ensuring the valve is in the sealed position. Select the "steam" function (can also use the manual function) and adjust the time to 4 minutes. If salmon is thicker than 1 inch, you may need to add an additional 1-2 minutes. Use a quick release when cook time is complete. While salmon is cooking, make the chipotle lime vinaigrette. In a blender or food processor, blend all ingredients until smooth, set aside. Now make the cauliflower rice. You can do this on the stovetop, or wait until cooking is complete on the salmon and cook in the IP. Heat up a large skillet to medium heat, or select the saute function on your IP (after you have removed salmon and drained the water). Cut the cauliflower into florets, and place inside a blender or food processor. Pulse until the cauliflower resembles a rice texture, do not over blend or it will become mush! Once the pot or skillet is hot, add oil, then saute onions for 2-3 minutes. Now add the cauliflower rice, and continue to saute for another 4-5 minutes or until lightly browned and fragrant. Sprinkle with garlic powder. Add approximately 1/4 cup of the vinaigrette to the cauliflower rice and toss. Assemble the bowls by adding salmon to the top of your cauliflower rice, drizzle each filet with about 1 tbsp of the vinaigrette. 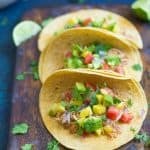 Add salt to taste, and any additional toppings for garnish: cilantro, avocado, salsa, etc. After the 4 minute steam/cook time should you Qr or Nr? If NR for how long? Sorry if I missed it in the instructions and thanks can’t wait to try it! It’s a quick release! I’ll make sure it’s more clear in the directions. Hope you enjoy!